Oh, is it over already? My holidays lasted 3 days and I was back in the studio last week and back on the computer all day today. I did take a break when the sun came out late this morning and took some long-awaited pictures. 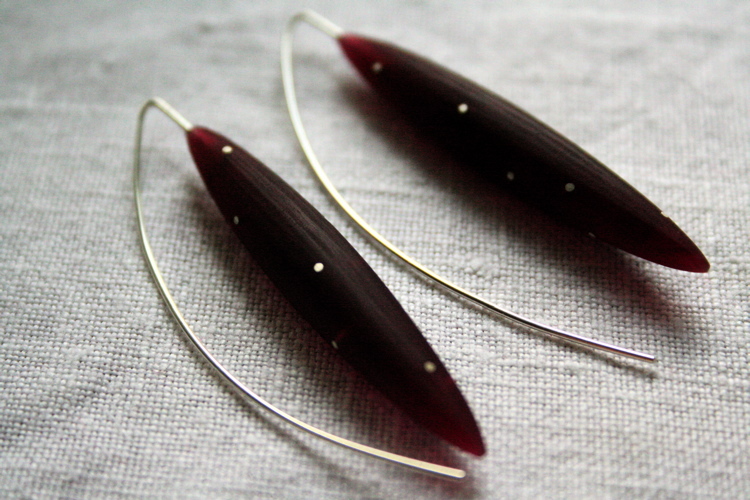 These earrings were my Christmas present – they are by Sarah King, whose work I have admired for years. I think I might start a collection of her work, it’s just wonderful! 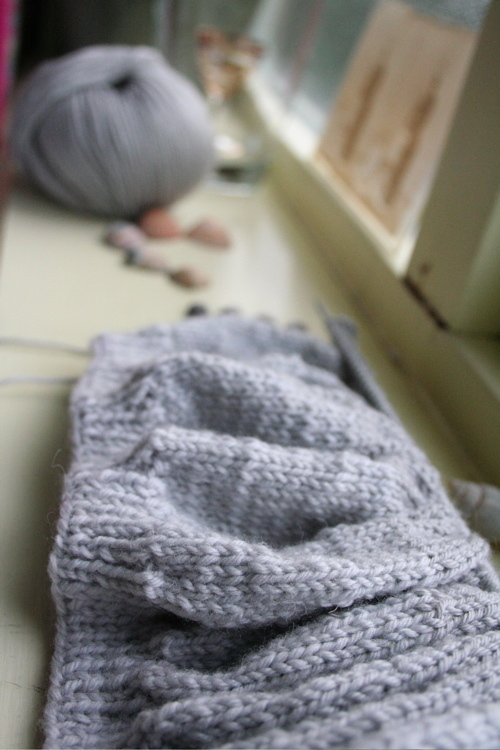 My favourite work-avoidance tactic this holiday has been knitting and several scarves have been born. This one has wiggly fringe around the edges and vintage black mother of pearl buttons. It could do with a better photo, but you get the textural idea. 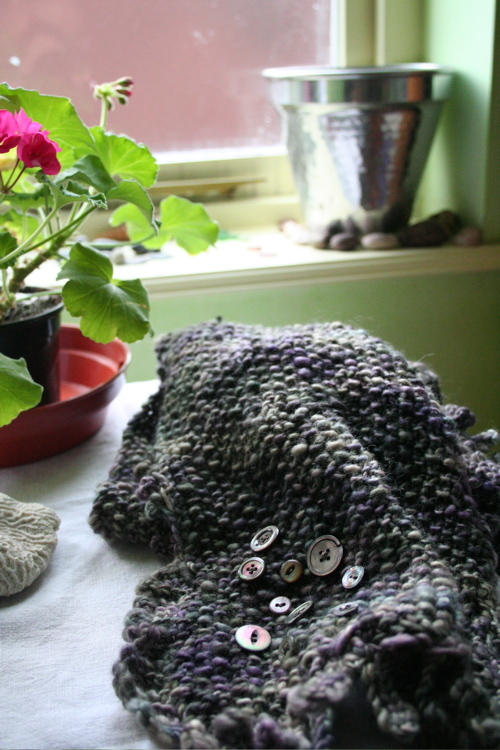 I’m working on a beret too. I rushed into this without thinking very hard and ended up buying red wool, then getting home and realising that I already had four red hats. So I started it in a pale grey I had lying around. But I only had one ball lying around, so I had to try and match it half way through. Not ideal. There is a kind of grey tide-line around it! I am going to sequin it anyway, so hopefully it wont show. Knitting in 4-ply isn’t my idea of a good time. I really wanted to do one in a varigated chunky yarn, and once I actually looked online I found the perfect pattern. I wish I had done that before I went and bought the slow boring Sirdar. So I traded in some Christmas M&S vouchers for wool tokens and bought some lovely Noro to do with one with. 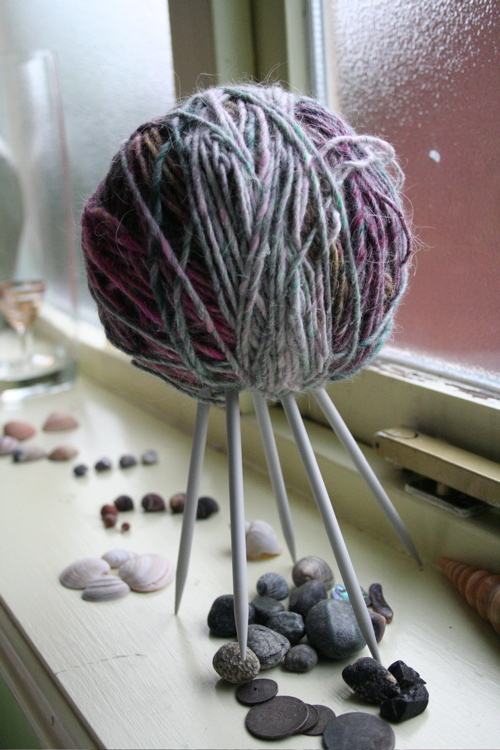 It will be a good exercise in learning to knit in the round on double pointed needles too. I want to make socks, you see. New Year’s resolution announced 5 hours early. It’s time to head off for my low-key new year celebrations now. Happy New Year and happy knitting.